Skitzo is slashed and slaughtered green apples, submerged in maniacal, molten caramel, splashed with cranium creme. I get tart green apples for the inhale with a light, icy green apple for the exhale. Notes of creamy caramel are present throughout. Ugly Butter is Uncle Freddy's famous, fancy fried dough, showered with carnival, cultivated cinnamon-sugar, serenaded with banana pudding. This is my favorite flavor of the review. The smell has top notes of sugary cinnamon blended with light hints of banana. The inhale is a sweet and warm cinnamon, funnel cake type flavor with smooth, creamy banana on the finish. * Might not get something you want. * Easy to set up. * Three plans to choose from. 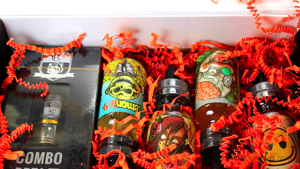 VapeBox is a customizable, monthly vaping subscription service. They offer three plans to choose from which include e-liquid and hardware. Just fill out your palate preferences and their expert curators will assemble a Vapebox personalized to you. My October 2017 box from the Enthusiast Plan came with a menu of the kit contents, a polish cloth, a sticker, a lanyard, four bottles of e-liquid and the iJoy Combo RDTA II. 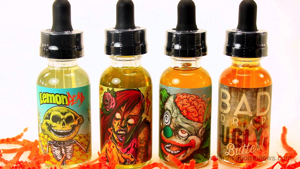 The October version came with four flavors from Bad Drip Labs. My Undead Girlfriend is mouthwatering, strawberry hard candy with a blend of apple and pineapple. For the smell, I get top notes of sugary strawberry. Both the inhale and exhale are a sweet strawberry with light hints of apple and pineapple in the background throughout. 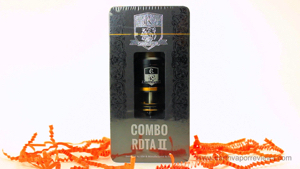 The iJoy Combo RDTA II is the next generation of the combo with a 6.5 milliliter e-liquid capacity. The kit comes in a sturdy, see through plastic case. The kit includes: an 0.15 subohm IMC-Coil3 pre-made coil, spare O-rings, Japanese organic cotton, a blue screwdriver, a black screwdriver, a single coil plug for single coil builds, a spare 510 pin and a 510 drip tip adapter. And of course, the iJoy Combo RDTA II. The RDTA comes in four colors. 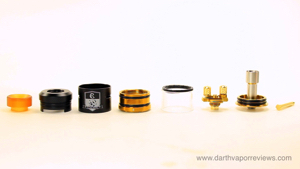 It has an interchangeable ULTEM wide bore drip tip and a gold plated 510 connection. 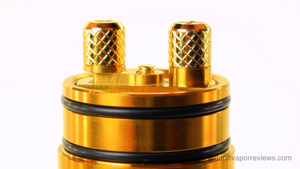 The build deck is 24K gold-plated and can be interchanged with 12 optional decks or a pre-made coil. The included IMC-10 clamp snag system build deck features large knurled screws for easier tightening. 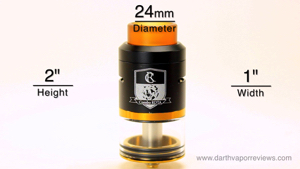 The RDTA II is roughly 2" in height by 1" in width with a 24 millimeter diameter. It can be disassembled into 8 main parts for cleaning. To use the RDTA II, remove the top caps revealing the build deck. If you want to, you can also remove the refilling ring. Loosen the deck screws. 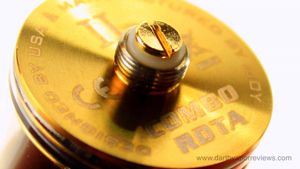 Tighten your coil or coils and adjust. Pre-fire to check the connection. Add your wick and comb out. Tuck the ends of the wick down the juice tunnels. Replace the refilling ring. Before filling, make sure the wick is not covering the fill slot. Tilt the RDTA II to fill with e-liquid. 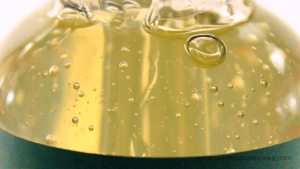 The tank can hold up to 6.5 milliliters of e-liquid. 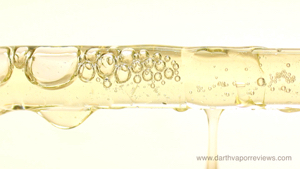 Wet the wick and coil or coils. Pre-fire to confirm the connection. Replace the cap. I thoroughly enjoyed using the Combo RDTA II. I initially had some leaking out of the air holes, but after several refills, I haven't been able to duplicate it. So, a newbie mistake, I guess. I initially thought that the wicks seemed too short, but the natural tilt of the tank to vape keeps them wet. The clapton coil performed great and I enjoyed the vapor production even on a low wattage setting and with one coil. I really enjoyed the iJoy Combo and as a RDTA guy, it's my new favorite toy. The VapeBox experience was great. It was very easy to setup with fast shipping. I probably wouldn't have chose most of the e-liquid flavors that I received, but I really enjoyed them. So, the surprise part of Vapebox is pretty cool and of course, I love the iJoy Combo RDTA II. So, Vapebox is a great way to enjoy vaping without having to do all the homework to keep up with the latest trends. 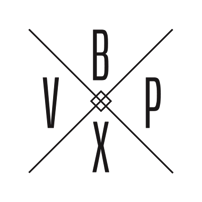 If you would like to check out the three plans that Vapebox has to offer with the lowest only being $20, just click on the logo below. Have an excellent day and may the Vape be with you.